We are a highly respected and dedicated team who have been delivering superior quality and reliable services to our clients since 1992. With the knowledge and experience of our highly trained staff and our substantial resources invested in the northeast, we are capable of outperforming any competitor in our industry. It is our commitment and knowledge as a local contractor in Connecticut and New York, and our personal attention to detail that sets us apart. We work hard to keep our clients happy with our services with the belief they will be clients for years to come. Many of our clients have been with us since our inception, a statistic we are very proud of! Our mission at Special Testing Labs is to be the regional leader in the construction materials testing and inspection services field. We are committed to a high standard of service and professionalism, while consistently maintaining ethical practice, accuracy, reliability and communication. We hold ourselves to higher standards of accountability, and strive to be a source of knowledge and excellence to our clients. We look toward the future with enthusiasm as we grow with our clients and staff to ensure we continue to provide quality and leading-edge construction materials consulting services. Our facility is equipped with state-of-the-art certified equipment for conducting soils, concrete, masonry and fire proofing laboratory tests and analyses. 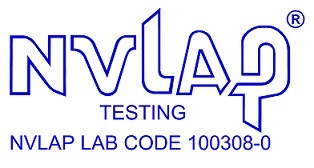 The equipment and staff are audited on a bi-annual basis for the various test methods required by today’s construction industry and State of Connecticut building codes through our accreditation by the National Voluntary Laboratory Accreditation Program (NVLAP). Special Testing Laboratories Inc. provided testing on a new structure which included a pile-supported concrete arch substructure with a precast girder and cast-in-place deck superstructure.